Last week, the administration announced plans to rescind the Deferred Action for Childhood Arrivals (DACA), a program that protects young immigrants from deportation. Across Idaho, communities came together to show their support for the Dreamers or undocumented children and young adults as well as the broader immigrant community. 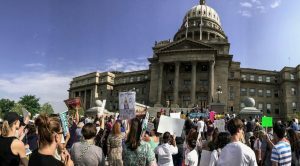 On Saturday, the Idaho Organizing Project, with support from the Idaho Coalition, organized a rally at the Idaho Statehouse with over 1,000 Idahoans turning out to support Dreamers. Here’s why the Idaho Coalition supports efforts toward a Dream Act and national humane comprehensive immigration reform: Gender violence is connected to and fueled by multiple systemic oppressions, or the many ways we devalue people based on identities or characteristics. By addressing gender violence and ways we devalue human beings, we can interrupt the conditions that allow violence to occur. Advocates for survivors of sexual assault and domestic violence have reported that DACA and other forms of immigration relief are critical to protecting our communities and helping survivors feel secure and stable so that they can rebuild their lives and be economically self-sufficient. (1) A recent survey of more than 700 advocates and attorneys revealed that immigrant survivors of domestic violence and sexual assault are often afraid to come forward and access help. (2) Safeguarding DACA and other immigration relief will protect individuals from deportation and allow survivors and witnesses of crimes like domestic violence, sexual assault, and human trafficking to feel safe to report crimes to police without fear that seeking justice will put them at risk of being deported. By further marginalizing recipients of DACA and other undocumented Idahoans with the repeal of DACA, individuals are at higher risk for poverty, isolation from family and community, as well as sexual and domestic violence and stalking. Anti-immigrant sentiment, racism, and xenophobia divide our communities and create the conditions for violence to occur. If you are providing supportive services to individuals impacted by the DACA repeal, please visit https://www.acluidaho.org/en/know-your-rights/information-daca-recipients-about-daca-termination for information. And we encourage you to contact your congressional delegation to ask them to support a comprehensive immigration policy. Most importantly, we support the Dream Act and a national comprehensive immigration reform that moves toward our vision of beloved communities where everyone is valued, everyone is safe, and everyone can thrive. Our friends, family, and neighbors are #HereToStay. As advocates deeply entrenched in recognizing and responding to domestic violence, we often overlook stalking behaviors that occur in domestic violence situations. While we often hear survivors describe behaviors, such as possessiveness and controlling jealousy, those behaviors are often lumped into typical domestic violence behaviors and not identified and called stalking. Nationally, 61% of females experiencing stalking and 44% of males experiencing stalking are stalked by a current or former intimate partner. Many individuals experiencing domestic violence often experience constant monitoring by the individual who is harming them. This may take the form of phone calls checking in, monitoring spending, and monitoring via technology (spyware, global positioning software (gps), or other cell phone location apps). However, within the context of domestic violence, advocates often tend to identify those behaviors as just part of the power and control rather than specifically identifying and calling them stalking. A great safety planning tool around the Use of Technology to Stalk is the National Network to End Domestic Violence’s app Tech Safety https://techsafetyapp.org/. 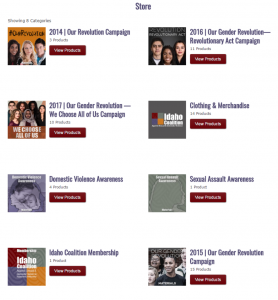 The Stalking Resource Center of the National Center for Victims of Crime also contains several safety planning brochures and additional information SRC Safety Planning Link. (1) McFarlane, J., Campbell, J., Wilt, S., Sachs, C., Ulrich, Y., and Xiao, X. (2009). “Stalking and Intimate Partner Femicide”. SAGE Journals, Volume 3:4 300-316. (2) Mohandie, Kris, Reid, Meloy, McGowan, Mila Green, and Williams, Jenn. (2006) “The RECON Typology of Stalking: Reliability and Validity Based Upon a Large Sample of North American Stalkers”. Journal of Forensic Sciences, 51: 147–155. As part of the HHS Specialized Services for Underserved Families grant, domestic violence advocates and other community based providers were able to attend “Culture Matters”, a training with Ruby White Starr from Casa de Esperanza, a national training, consulting and advocacy organization. These two regional trainings provided opportunities to raise our consciousness of culture and oppression, and increase our ability to respond to Latinx children and families who experience violence, through an anti-oppression lens. Often we think of culture as another group’s norms and customs. Ruby’s activities provided opportunities to open ourselves to culture as being ever-present yet often overlooked when part of dominant American society. Participants commented how much they appreciated learning about individual and collective cultures, how privilege impacted them growing up, assumptions that they or others make, and how services can be more inclusive cross-culturally. We hope to bring Ruby back to Idaho, and in the meantime, would be happy to talk with you about how culture matters. Reach out to Mercedes or Melissa anytime at Mercedes@engagingvoices.org or Melissa@engagingvoices.org. The Idaho Risk Assessment of Dangerousness was developed ten years ago through the Idaho Coalition in partnership with key stakeholders in the criminal justice system and community domestic violence providers. Idaho law enforcement, prosecution and judicial systems as well as community-based advocates have been using this tool to inform survivors of their risk of future harm as well as indicators of lethality as part of safety planning. The tool has also been used to assess the level of intervention needed by the criminal justice system to enhance safety and by the courts to determine conditions of release. An unexpected use of the tool has been in civil domestic violence cases in the determination of issuance of civil protection orders and for custody decisions. Join us for a discussion regarding the use of IRAD in your communities. Please register here and help cocreate our time together.